Back pain relief is just one example of the remarkable therapeutic effects of medical grade ozone (O3). But is ozone therapy safe? Why isn’t it used more often in the US? Ozone stimulates the immune system and inactivates bacteria, viruses, fungi, yeast and protozoa. Could Pamela Anderson and Sharon Stone be ahead of their time when it comes to beauty treatment for looking younger, longer? According to reports, both stars have used ozone therapy, a century old medical therapy, for just such purposes. Although the therapy as both a medical and beauty treatment is just now catching on in America, researchers show it is has been utilized and heavily studied as a medical therapy for more than a century, predominantly in Europe. These researchers report its medical therapeutic “effects are proven, consistent, safe and with minimal and preventable side effects.” And because it has such a wide range of therapeutic applications and is inexpensive and safe when applied by trained physicians, a number of international scientific communities are joining together to establish standards of treatment and to help national associations of ozone therapy gain the legal recognition of the therapy by their own national health authorities. Most people when they hear the word “ozone” think of it as air pollution. After all, aren’t we told on a hot summer day to expect an “ozone alert” which is defined as an unhealthy concentration of ozone pollution? This association between the ozone levels and hydrocarbon pollution in our atmosphere is most unfortunate indeed. The truth is that ozone (O3), which has three atoms of oxygen, is a gas created in our atmosphere by the sun’s ultraviolet spectrum. It is this blue ozone gas that gives our sky its beautiful blue color. Ozone is also created naturally by crashing surf, whitewater rapids, and lightning storms (remember the clean, fresh scent of a thunderstorm). The oxygen we breathe as air only has a pair of oxygen atoms. It is the addition of the third oxygen atom that makes ozone “supercharged” and highly reactive which is what gives it all of its remarkable medical and germicidal properties. So when we humans pollute the atmosphere with hydrocarbons from our cars and factories, ozone is immediately attracted to the smog as nature’s way of cleaning up the pollution. High levels of hydrocarbons in the atmosphere will have a corresponding high ozone level. Thus, scientists have found that measuring ozone levels can indirectly tell them how bad the pollution is. Since it is so much cheaper and easier to measure the ozone level than the actual hydrocarbons, it has become the standard for designating the level of pollution. But in fact the ozone is there to just purify the pollutants. So when you hear an “ozone alert”, it is not the ozone at all that is causing the alert but rather the hydrocarbon smog that the ozone gas is trying to clean up. So don’t be put off by the term ozone or think that it is inherently dangerous. When pure medical grade ozone is used according to established medical guidelines, it has a safety record that is unparalleled. Suffice it to say that that extra oxygen atom in ozone makes it highly reactive and thus stimulates the healing process in many different ways. Doctors who have been trained in ozone therapy use oxygen generators to create medical grade ozone which can then be applied in externally bagging, into the bloodstream via IV, or directly into the body by means of subcutaneous injections. Ozone stimulates the immune system and inactivates bacteria, viruses, fungi, yeast and protozoa. It improves circulation and oxygenates the tissues. Back Pain Cure Rate of 70%! Frank Shallenbeger, MD, of The Nevada Center of Alternative & Anti-Aging Medicine in Carson City, Nevada is a leading expert in the medical use of ozone in the United States and has trained over 700 physicians in the use of Ozone Therapy. Dr. Shallenberger reports in his monthly newsletter that he sees a complete cure from back pain in about 70% of the patients that he treats with his own version of ozone therapy he calls “Prolozone®”. 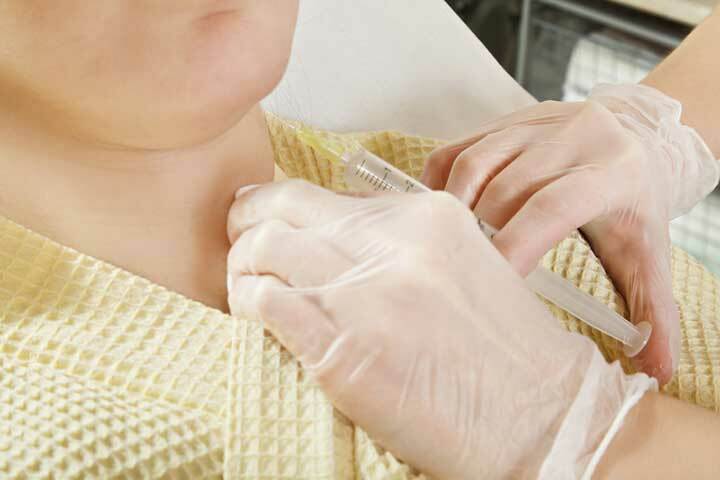 He uses an injection combining novocaine, prolotherapy, and ozone to treat to treat all types of pain including shoulder pain, arthritis, carpal tunnel syndrome, and back and neck pain. Regarding scientific backing of the effectiveness of this treatment, researchers reported in a 2005 study published in the American Journal of Neuroradiology that when comparing Prolozone with conventional steroid injections, the Prolozone technique “was highly effective in relieving acute and chronic lower back pain and sciatica. The gas mixture can be administered as a first treatment to replace epidural steroids.” And this was after only one treatment! Steroids have significant side effects and thus doctors must limit how many times they administer the steroid. Not so with Prolozone therapy, and Dr. Shallenberger will generally schedule only 3-6 treatments to get the incredible results he reports. Have you used ozone therapy in any of its forms for medical therapeutic purposes? If so, help our readers by sharing that experience. What was your specific ailment and what treatment was administered? Describe if the therapy was helpful or not. You would be helping to spread the word on this marvelous therapy and removing the doubt and uncertainty that a new therapy like this sometimes carries. Ozone therapy: A clinical review. J Nat Sci Biol Med. 2011 Jan-Jun; 2(1): 66–70. Bonetti, M., A. Fontana, et al. Am J Neuroradiol, 2005 May;26(5):996-1000. Originally published November 11, 2013. It is regularly updated. aging, arthritis, back pain, back pain and sciatica, bacteria, chronic lower back pain, health, immune system, lower back pain, neck pain, newsletter, pain, report, sciatica, shoulder pain, side effects. This ozone therapy is fascinating! What a relief to find alternative methods of treating neck and back pain that don’t come with the side effects of steroids. Thank you for sharing this invaluable information! 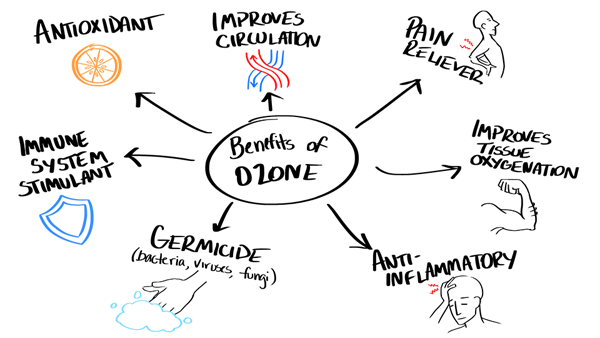 Ozone therapy is not something I learned about as a naturopathic medical student, but I wish I had. I’m quite interested in learning more about this method of pain relief. Ozone Therapy is very safe. I’ve been using it for twenty years. My new book Prostate Relief Now!, which will be published next week gives a full chapter to the use of ozone for many conditions. After lots of knee pain I decided to go against my doctors advice and fly to Sydney and have ozone injections in my knees for 3 days. I suffer from Patella femoral arthritis in both knees and possible left meniscus tear Since having the injections I have no pain and can kneal on my knees again. I have recommended this treatment to lots of people. Try this before you think of surgery. A friend of mine recently told me about his experience with Prolozone therapy and the amazing results he had. For my knee pain I have tried everything….acupuncture, chiropractic visits, prescribed drugs,……and none of this helped. I just had my first Prolozone therapy just over a week ago and my knees feel better than they have in years. I work as a bartender and often have to get on my knees when stocking supplies and after have to use both arms to lift myself off the ground. One round of Prolozone and I can kneel and get back up without the pain, and without the aid of my arms to pull me up. I couldn’t be happier and I would have paid ten times as much as I did knowing that I would have the relief I have now. I have done in Iran for sciatica, very effective and safe, along with the injection of hyaluronic acid gel for the lubrication between the disk and the nerve.